Ex Transdev Harrogate 611 on the longest Park & Ride service in the NW, the X70 from Blackpool to Manchester! 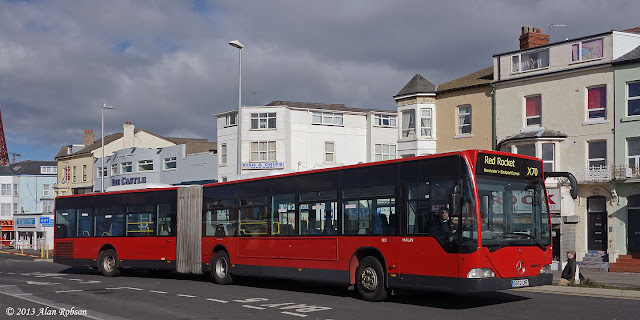 Classic Bus North West recently took delivery of two former Transdev Harrogate and District Volvo B6BLEs with Wright Crusader bodywork, 601 (W601 CWX) and 611 (W611 CWX). Volvo 611 was noted operating the 10:30 Red Rocket express service from Blackpool Central Coach Station to Manchester on Wednesday 30th October. 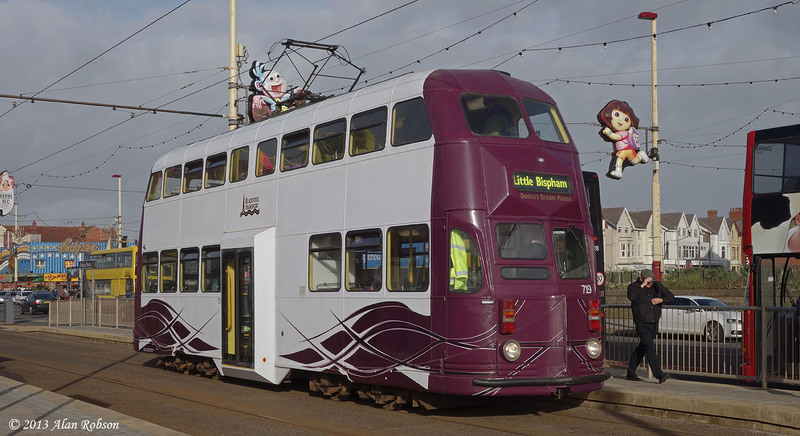 Saturday & Sunday, 26th & 27th October, saw widened Balloons 700 and 719 in use as specials on both days, to supplement the normal Flexity car service at the start of the traditionally busy half-term school holidays. 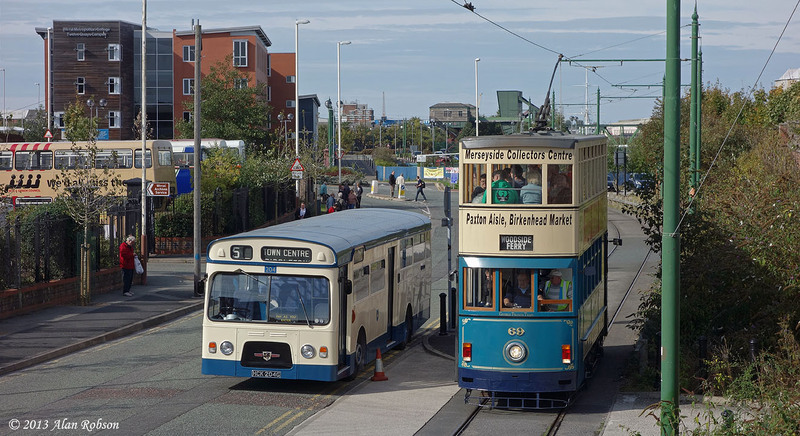 The trams mainly shuttled backwards and forwards between the Pleasure Beach and Little Bispham, with the occasional short working to intermediate destinations also. Little Bispham seemed to be rather a strange northern destination for the specials as very few day trippers wish to travel this far, using North Pier or Cabin as the turnaround point would have provided a more intensive service over the busiest section of the tramway. It's as if 700 and 719 were still in "Heritage Tour" mode, rather than purely operating as specials to shift the crowds on the prom. 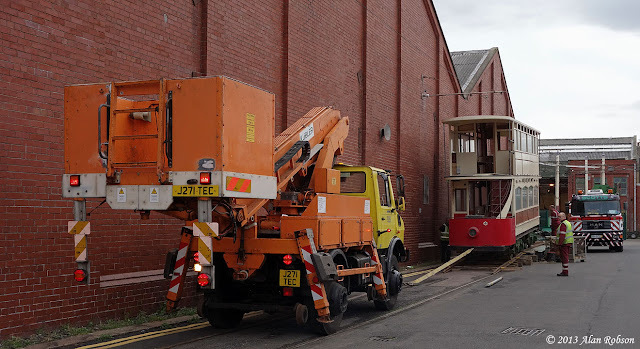 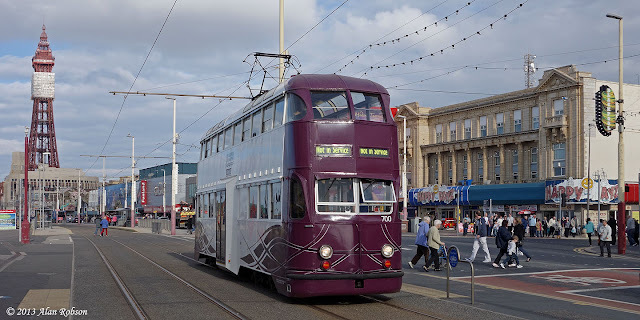 The trams were both well patronised over the weekend, with many passengers keen to sample the rare opportunity of a top deck tram ride in Blackpool. 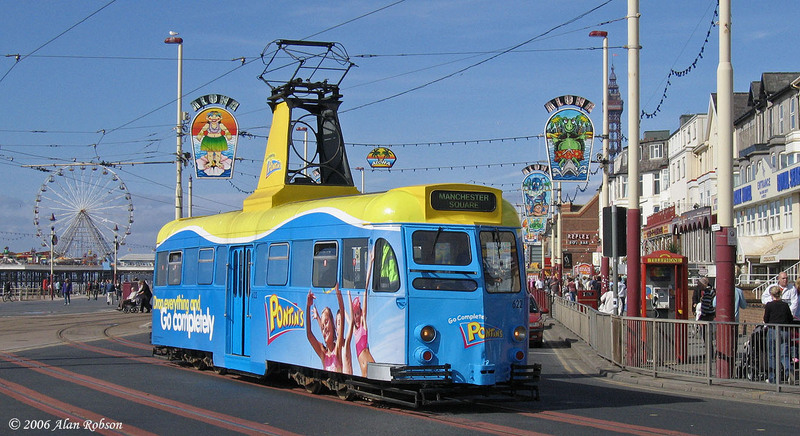 For more photos of the widened Balloons in use during the weekend see Blackpooltrams on Flickr. 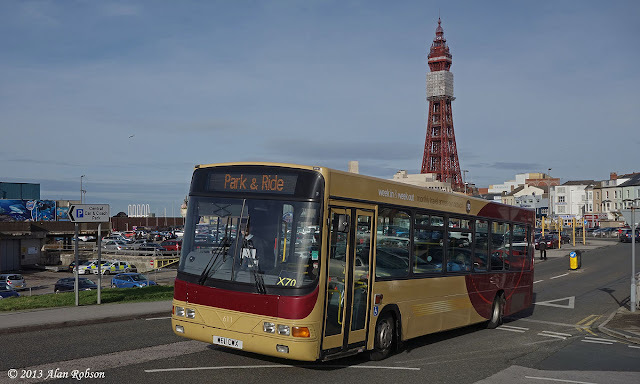 Classic Bus North West Volvo Olympian P269 PSX was noted standing in for one of the usual Mercedes-Benz Citaro bendy buses on the 13:30 Red Rocket departure from Blackpool Central Coach Station to Manchester on Friday 25th October. Balloon 700 on a driver familiarisation run near Central Pier on 15th October. Balloon 700 was noted heading south at Central Pier on driver training duties on the afternoon of 15th October. Presumably BTS intend to make some use the fat Balloons during the half term week towards the end of the Illuminations. 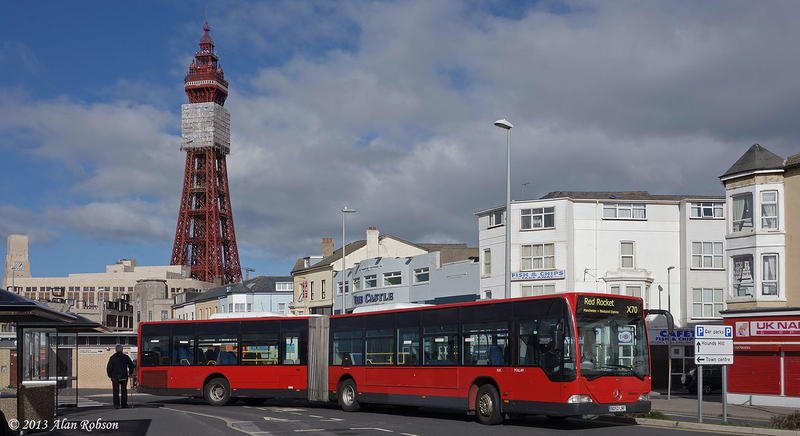 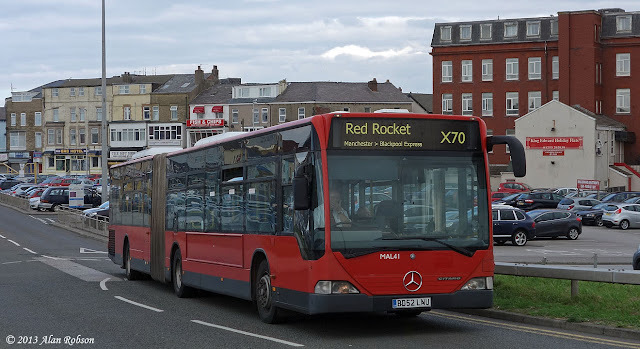 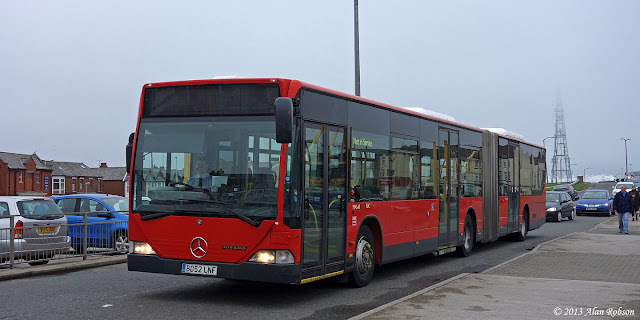 The Classic Bus North West "Red Rocket" express bus service from Blackpool to Manchester is beginning to have route branding applied to the Mercedes-Benz Citaro vehicles that are operating the route. MAL49 (BD52LNF) and MAL53 (BL52ODK) have been noted with stickers on the front and nearside destination screens that read "Red Rocket" on the top line, with "Manchester > Blackpool Express" displayed on the lower line, also the route number "X70" is stuck over the right hand side of the front destination box. 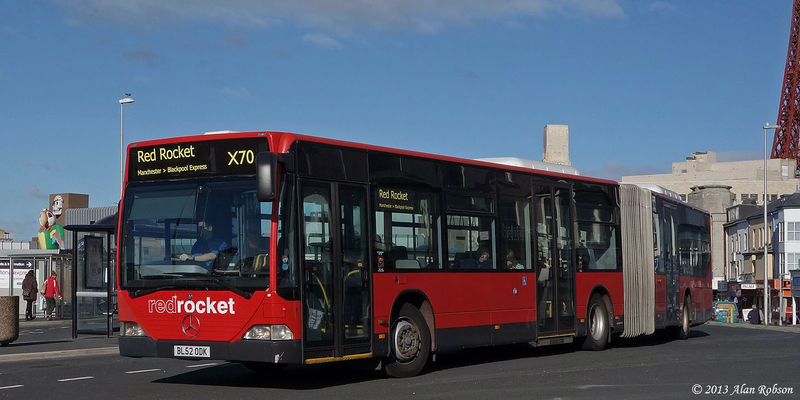 MAL53 (BL52ODK) has also had white letters displaying the words "red rocket" applied beneath the windscreen. 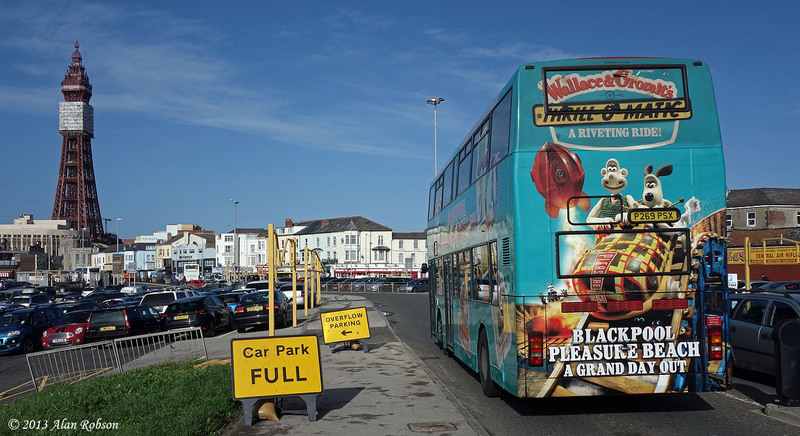 The buses that were observed today at Blackpool Central Coach Station no longer seem to be having any problems turning in the restricted area available. 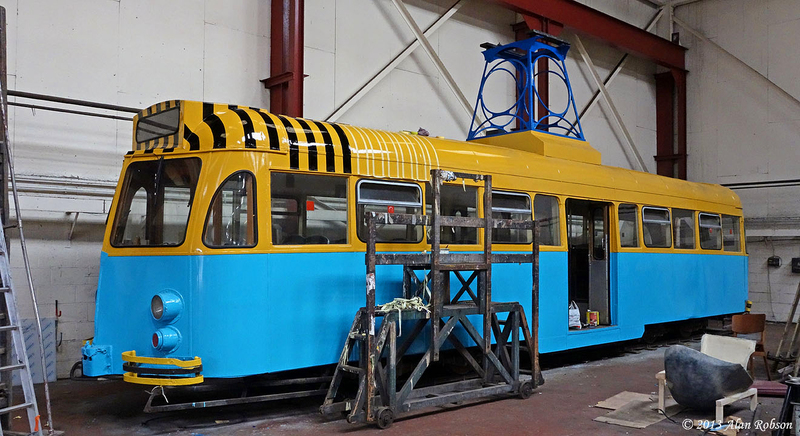 Brush car 622 is being repainted back into a representation of the Tigerrific advert scheme that it carried in the 1970s & 80s. 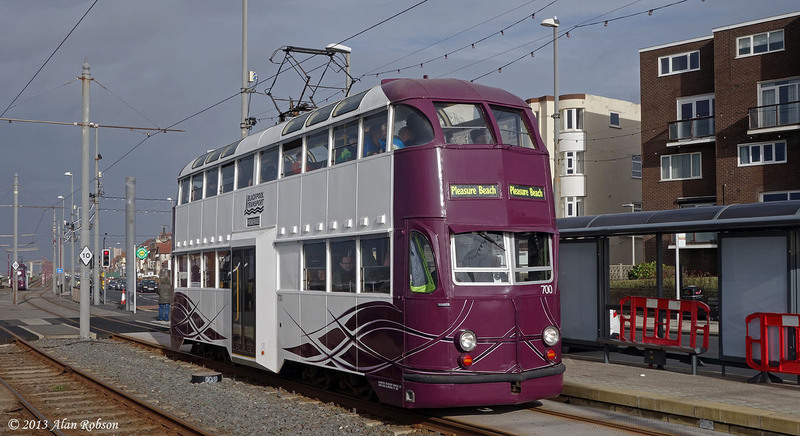 The tram will not be carrying passengers any more though, the plan is for 622 to be used as a static classroom within the grounds of Anchorsholme Primary School in Cleveleys. 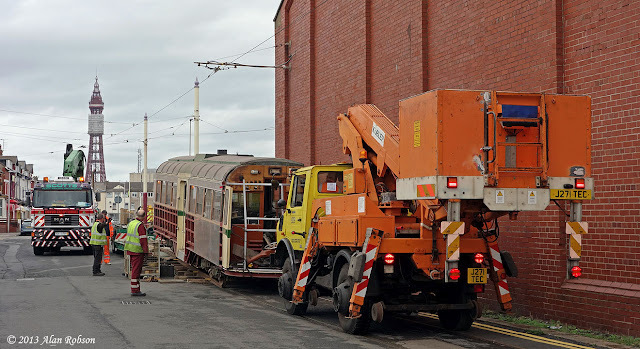 622 is seen part way through its repaint at the Lancastrian Transport Trust's depot at Marton in Blackpool on Monday 7th October. 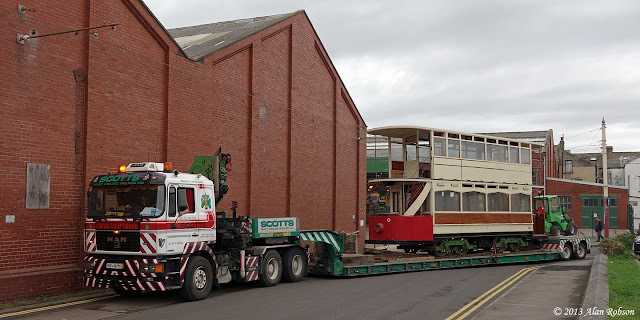 Further to the move of Railcoach 279 on the morning of 7th October, Scotts Heavy Haulage returned to the Lancastrian Transport Trust depot at Marton in the afternoon to collect Standard 143 for the short journey back to Rigby Road depot. 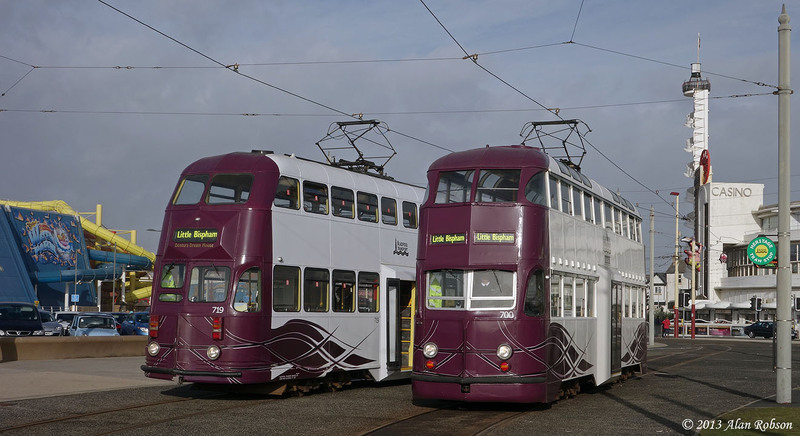 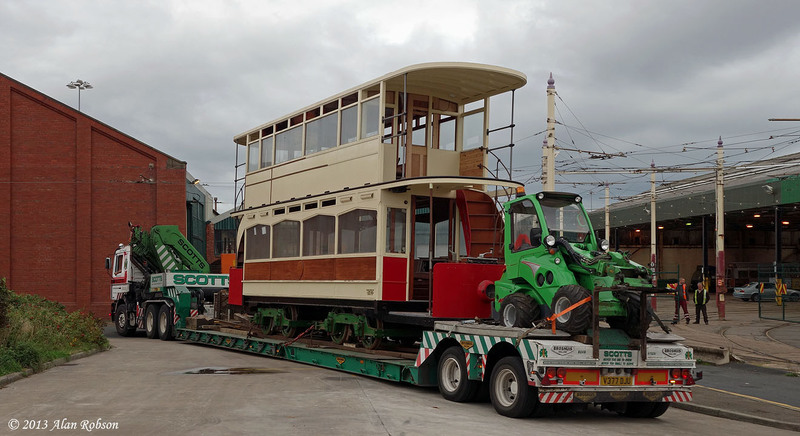 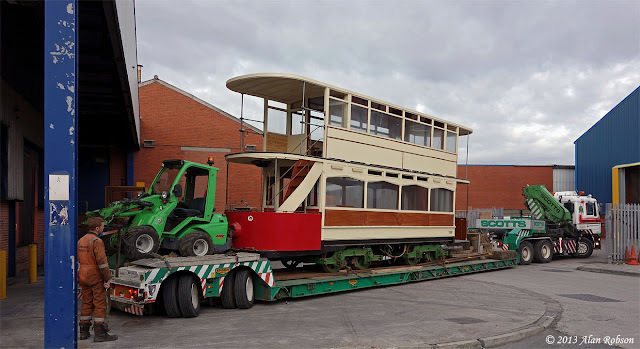 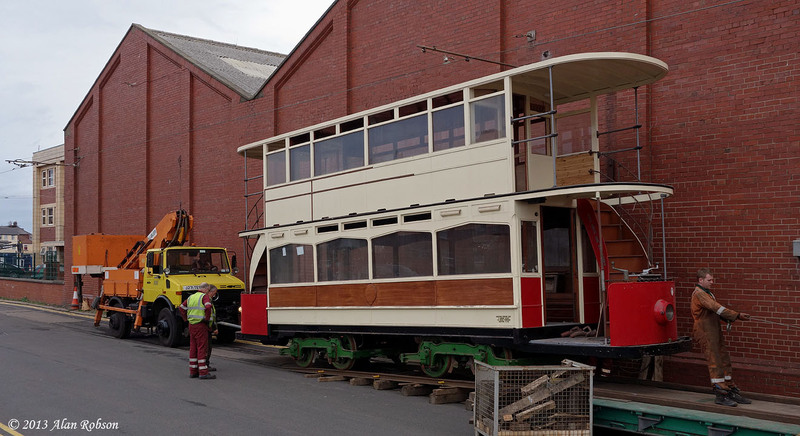 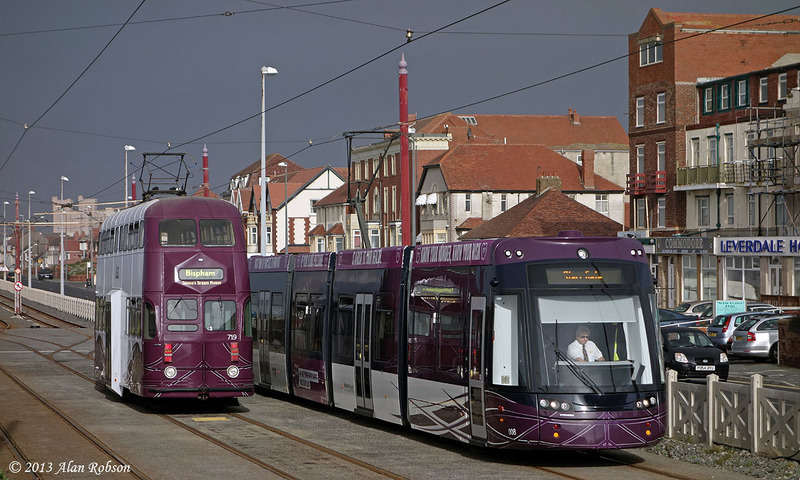 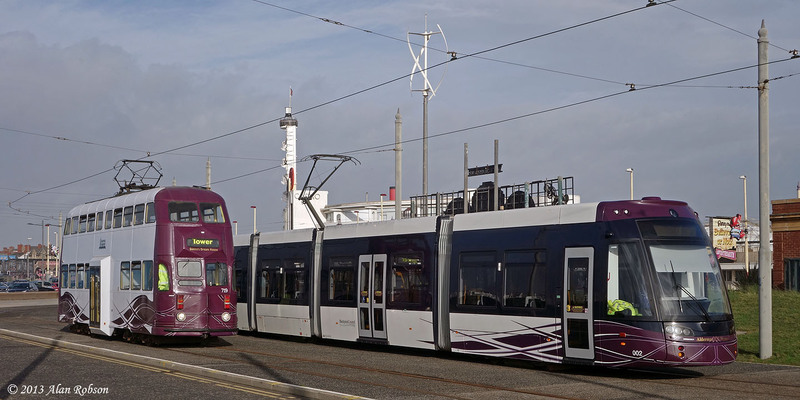 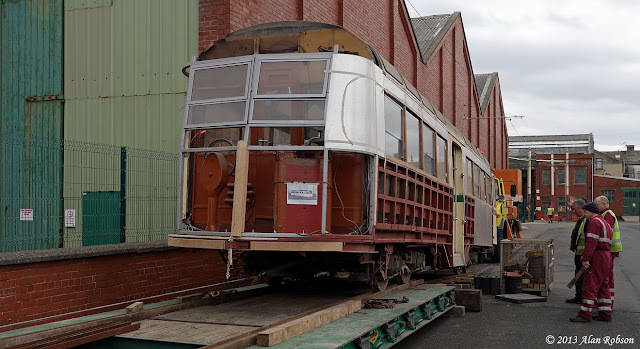 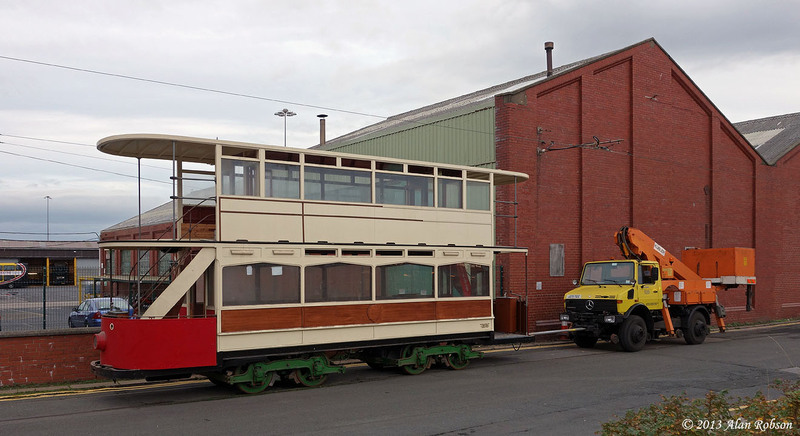 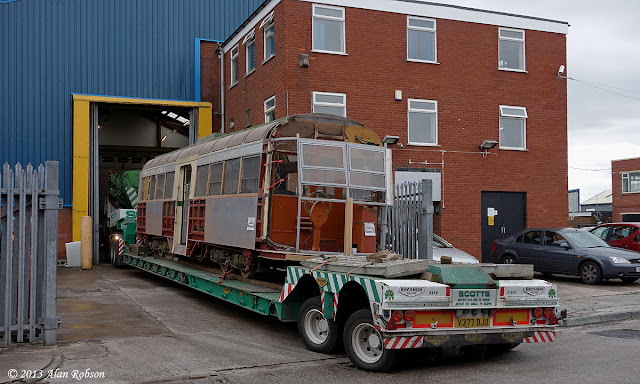 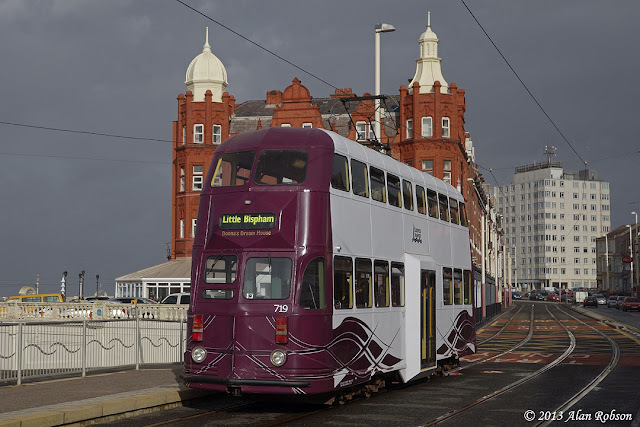 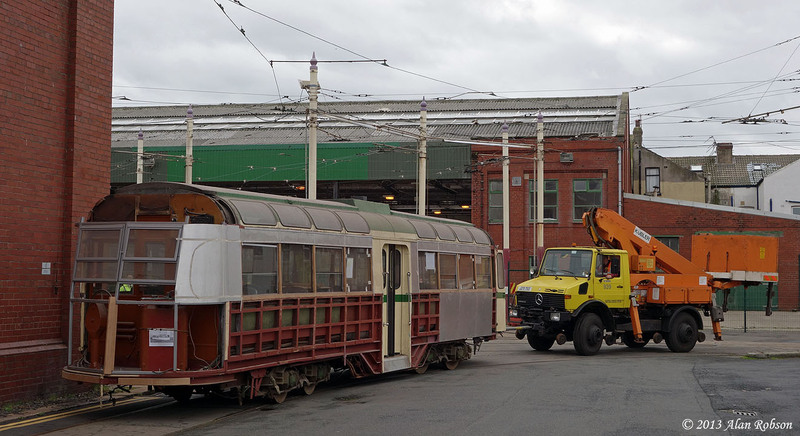 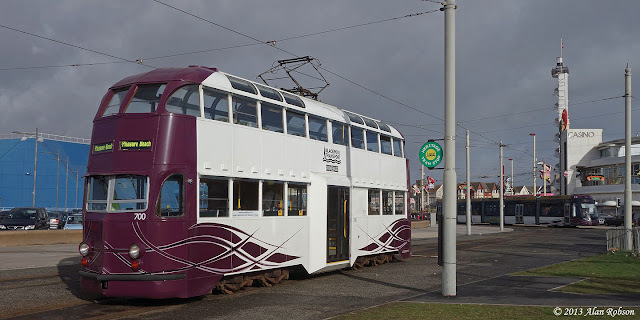 Monday 7th October saw another Lancastrian Transport Trust tram return home to Blackpool rails. 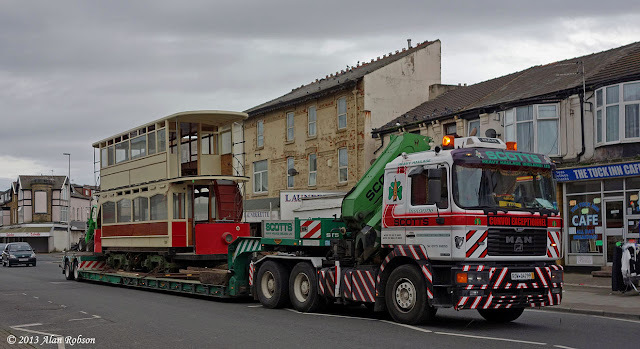 English Electric Railcoach 279 (679) made the short journey from the LTT's Brinwell Road depot in Marton back to Rigby Road depot, the move being undertaken by Scotts Heavy Haulage. 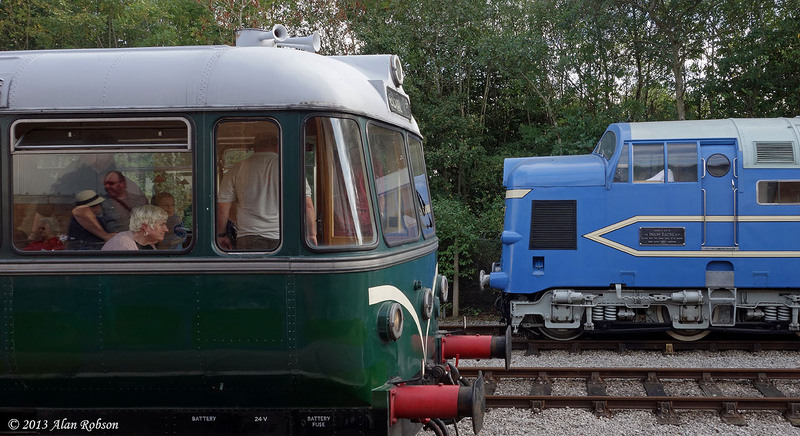 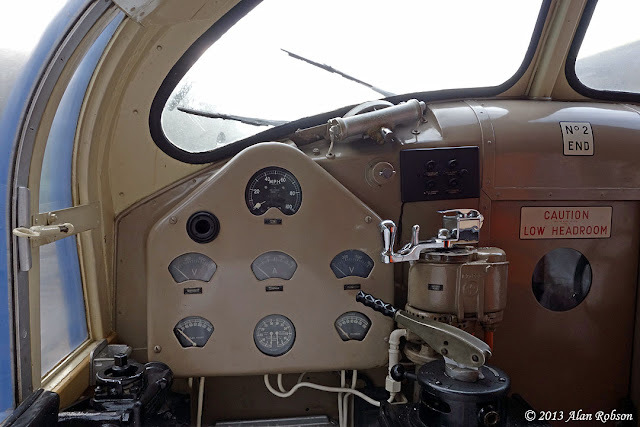 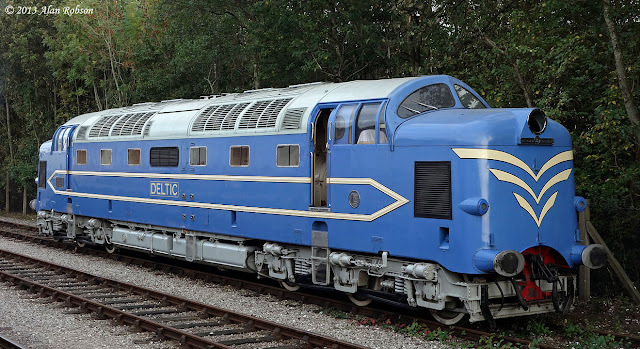 The English Electric prototype Deltic DP1 was parked on outside display during the diesel gala on the Ribble Steam Railway at Preston over the weekend of 5th/6th October. 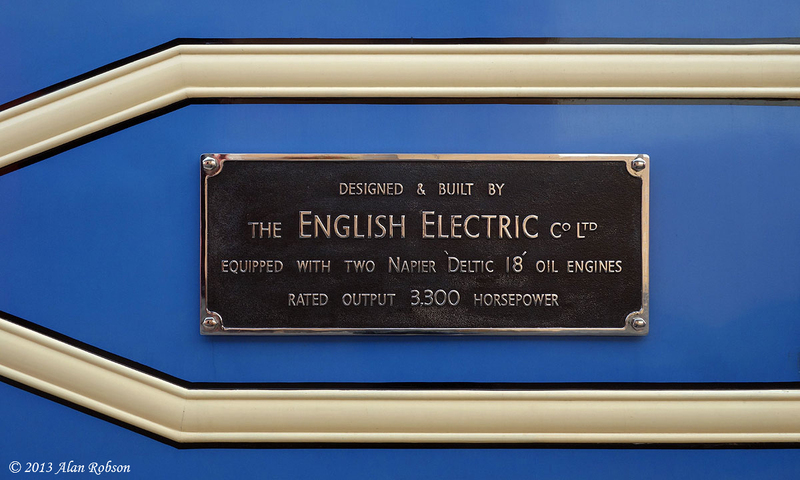 The prototype diesel-electric locomotive is part of the National Collection, and has previously been on display at the Science Museum in London, the National Railway Museum at York and the NRM Locomotion at Shildon, before being loaned to the Ribble Steam Railway as part of the 2012 Preston Guild celebrations. 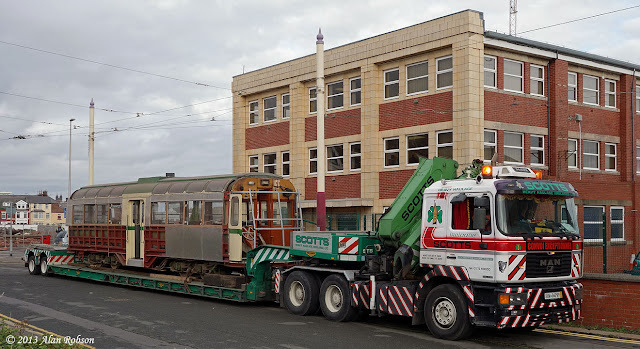 The locomotive is now residing less than two miles away from the former English Electric factory at Strand Road in Preston where it was constructed in 1955. 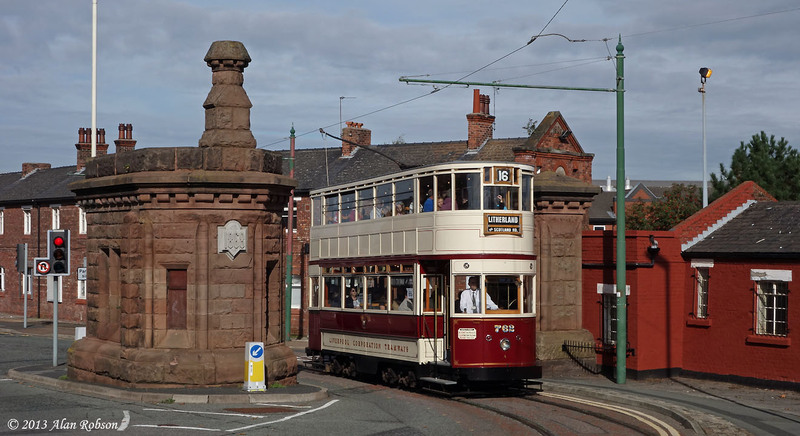 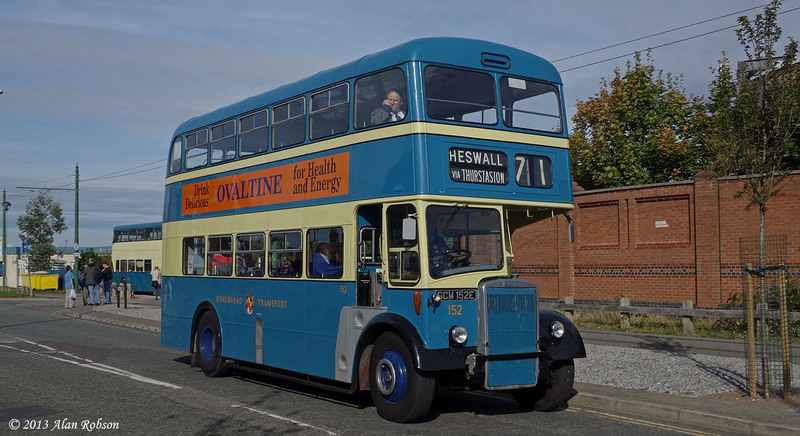 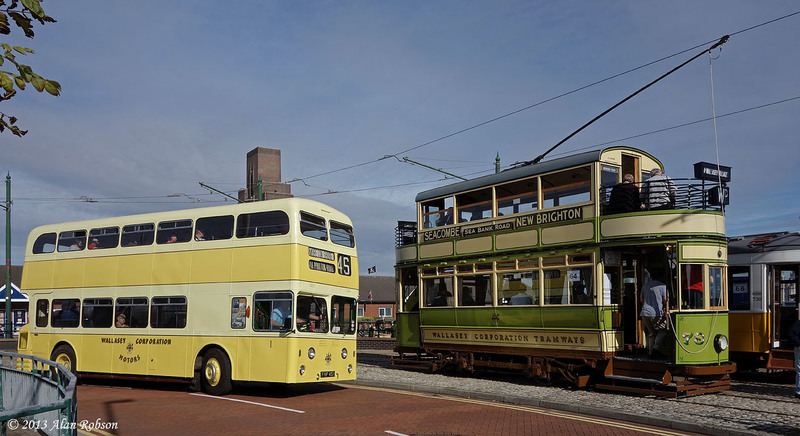 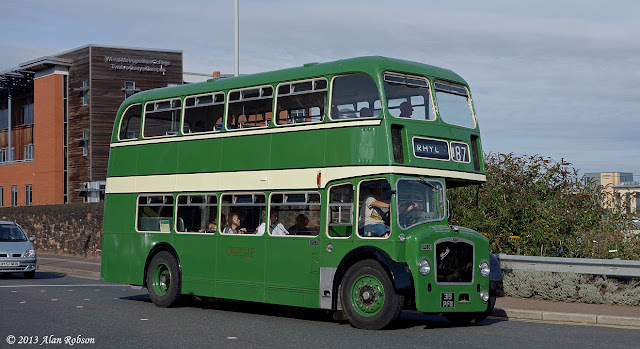 Sunday 6th October saw the annual Wirral Bus & Tram Show being held at the Birkenhead Heritage Tramway close to Woodside Ferry. 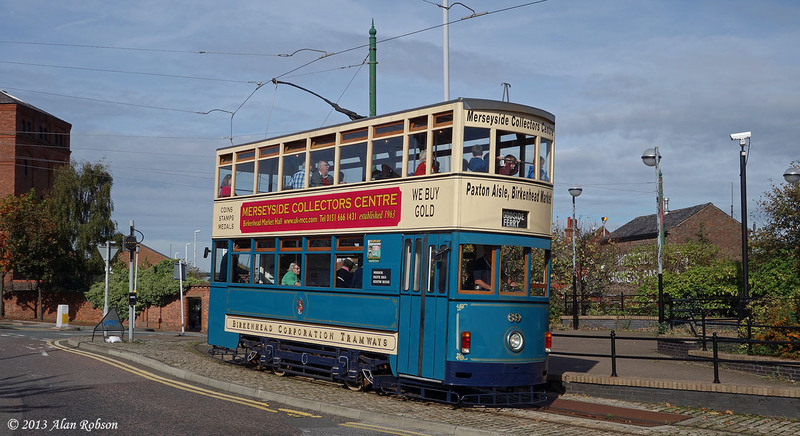 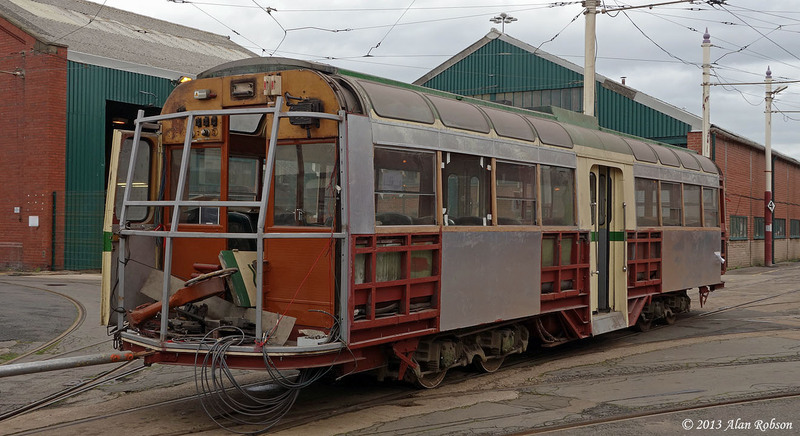 One of the trams that was intended to be used was Birkenhead Milnes open-top car No 20, however due to a compressor failure this tram was unable to be used on the day. The replacement tram for Birkenhead 20 was Hong Kong car No 69, which is painted in a blue and cream representation of the Birkenhead Corporation Tramways livery, this tram rarely gets used at this event so it was a pleasant change to see it out. 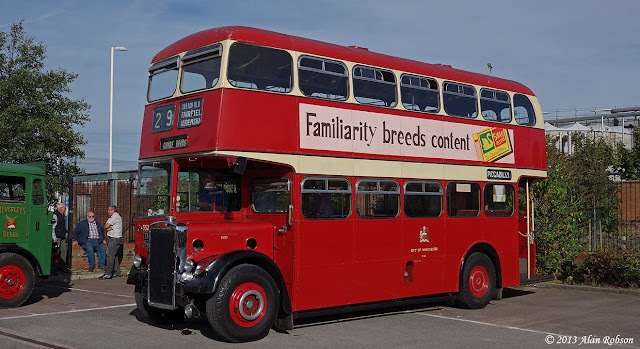 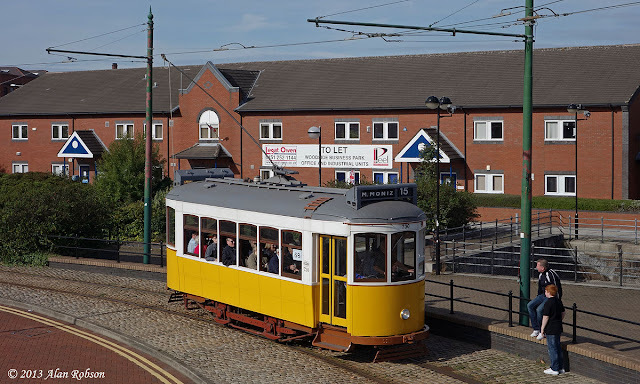 Here are a selection of photographs of the trams that were operating on the day, plus some of the preserved buses that were on display or giving demonstration rides. 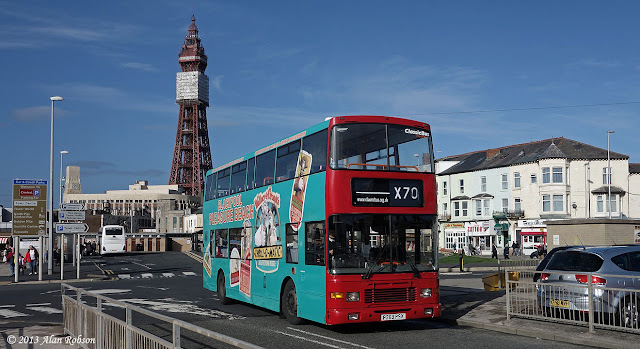 Friday 4th October saw the first day of operation of Classic Bus North West's "Red Rocket" express bus service from Blackpool to the centre of Manchester. 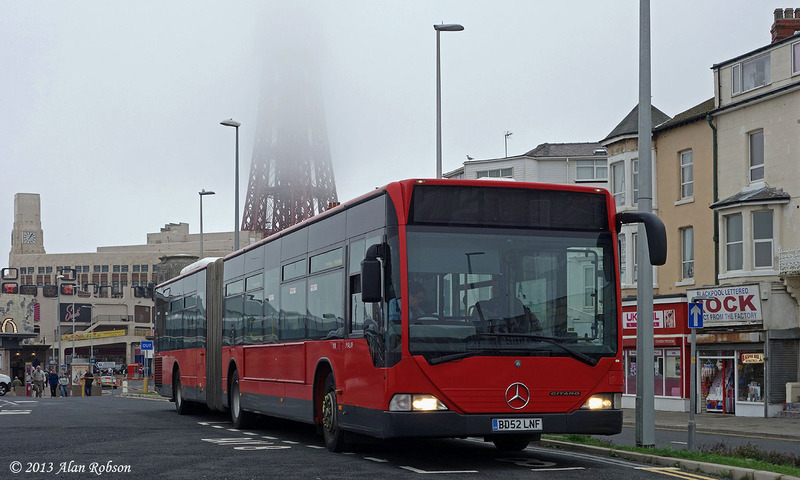 Three former Go-Ahead London Mercedes- Benz Citaro articulated buses have been acquired to operate this route, MAL41 (BD52LNU), MAL49 (BD52LNF) and MAL53 (BL52ODK). 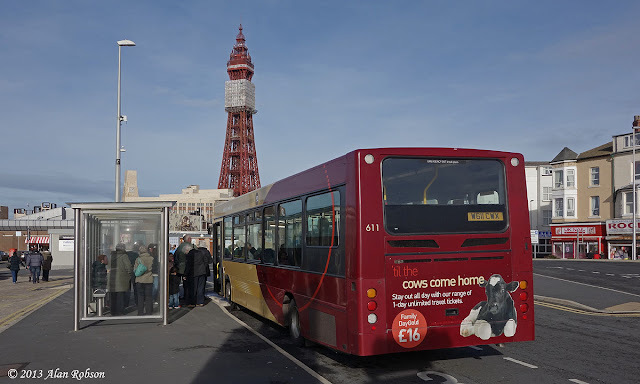 The service originates from the Central Coach Station in Blackpool, with four journeys a day calling at the Trafford Centre and the others running directly to the centre of Manchester. 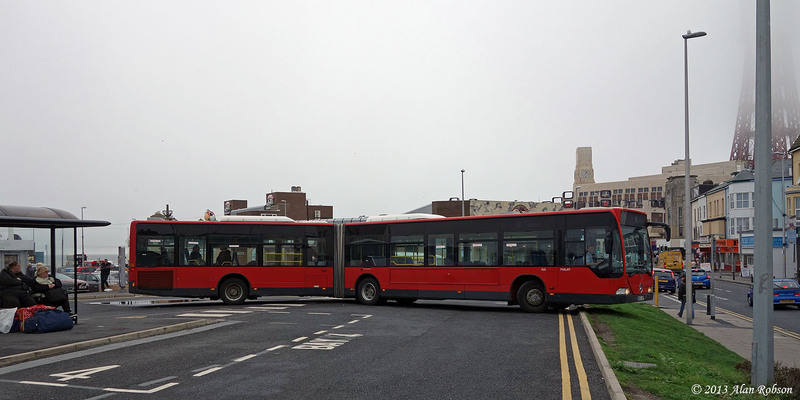 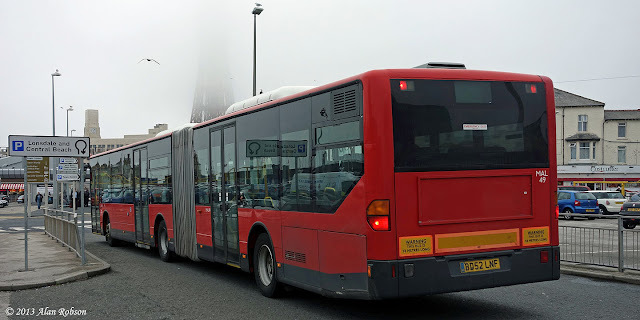 The lack of turning space at Central Coach Station seemed to be causing problems for the long articulated buses, with at least one of them having to make a three-point turn due to the restricted space. 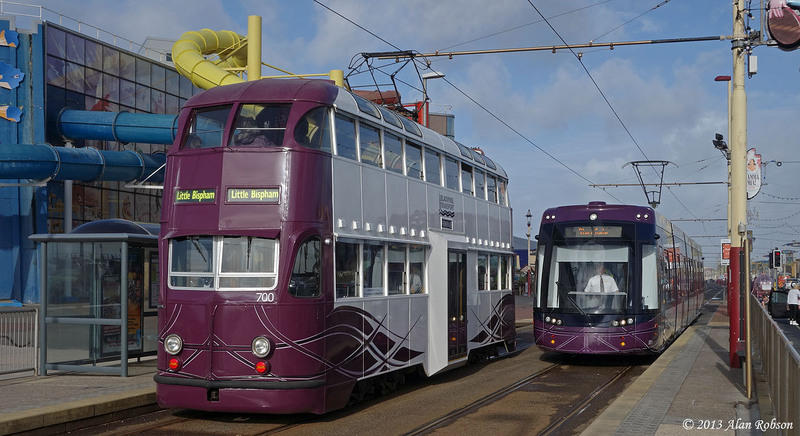 See http://www.redrocketexpress.co.uk for information on the service. 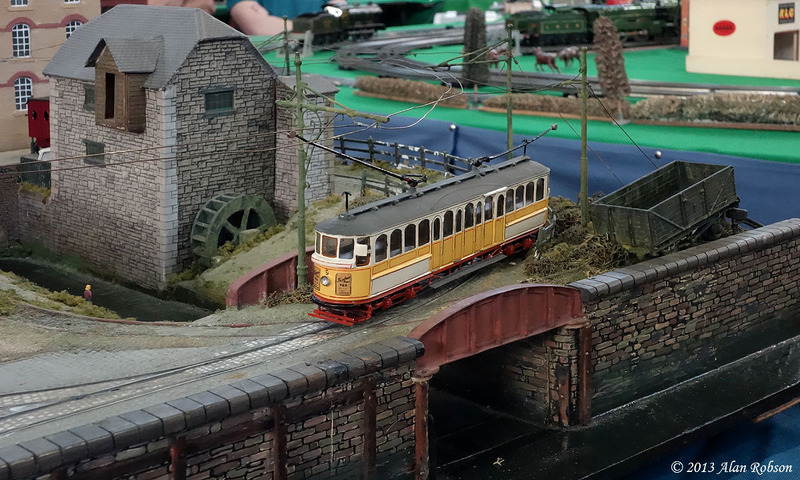 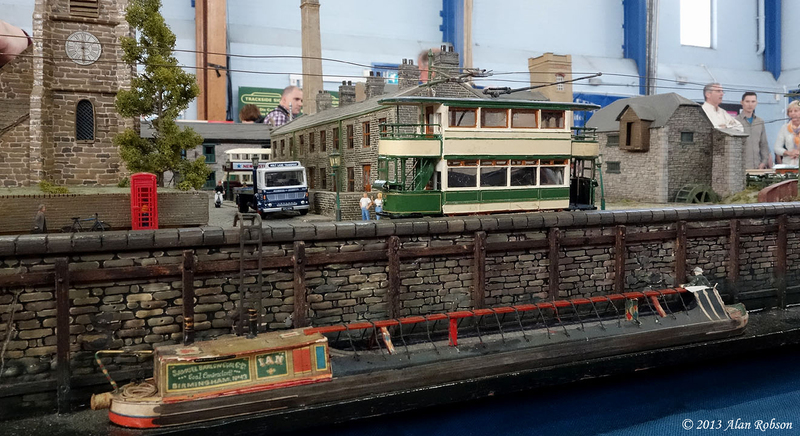 Southport Model Railway Society held their annual exhibition over the weekend of 28th and 29th September, and while the layouts on display were mostly railways, a couple featured 4mm scale working tramways. 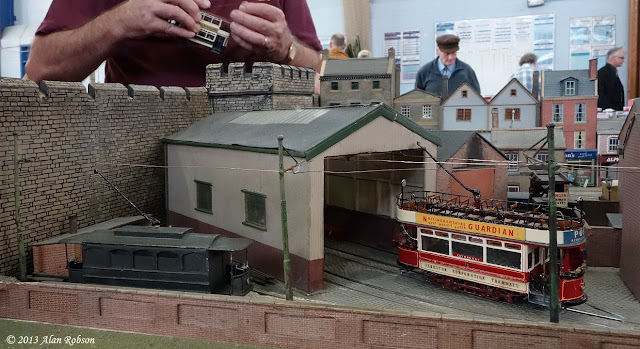 The Ellenbrook 4mm model tramway came from Liverpool, and was a freelance layout featuring trams from various systems. 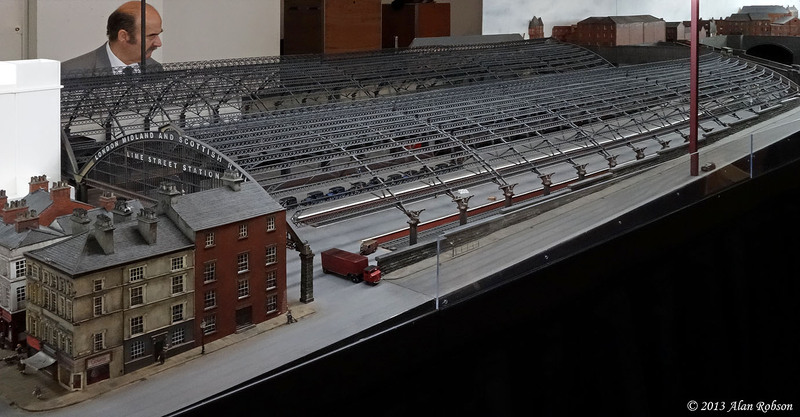 The other layout that featured a model tramway was the impressive 4mm EM gauge layout of Liverpool Lime Street Station and its approaches, the layout measuring 44 feet in length. 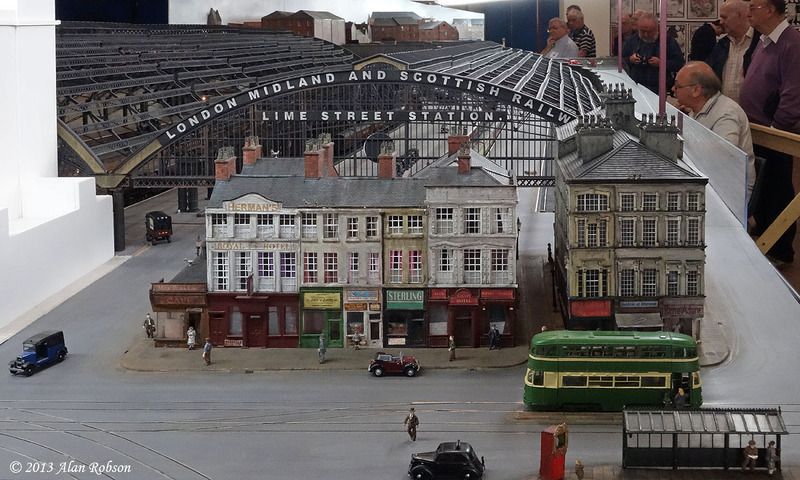 The Lime Street Station layout featured a working tramway running along Lime Street in front of the station. 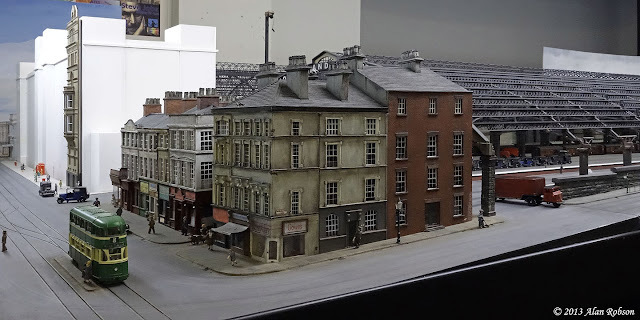 This layout appears to be a work in progress, as the scenery has not yet been completed along Lime Street and at present there is no tramway overhead.